You can either arrive at Delhi via train or flight then our staff will pick you from the airport or railway station then reach Kasauli directly in our vehicle. Kasauli is a cantonment town with a significant elevation. The climate in the city is moderate and hence you need to stay prepared for some changes in your health. There are many affordable and luxury hotels in the main city. You can easily reach our hotel in Kasauli with our staff and relax for the rest of the day. 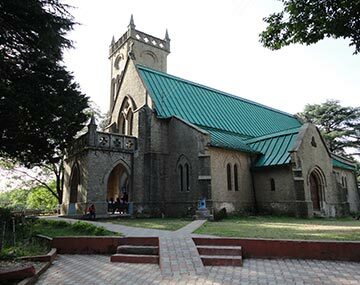 There is no dearth of enticing tourist spots in Kasauli. The hill station takes you too close to nature’s lap to make you feel revitalized and being in a heavenly ambiance. For sightseeing, there are many heavy duty vehicles are available from the hotel. You can choose trekking, hiking, taking a toy train tour, visiting the local jungle for fun and adventure and many other outdoor activities keeping a trusted guide and the necessary things like water, backpack, cell phone, towel, binocular etc. You can also choose to walk to the local churches for some spiritual vibes, there are many around. There is a 1926-built Krishna Bawan Mandir in the town and you can turn your head towards the temple if you are a Krishna devotee or just keen about the historical aspects. Make sure you passed by the Pine Mall before heading towards any other tourist spot in the town. Kasauli is a small town and you can easily explore it in two days. After two adventurous sightseeing days, you can enjoy the local and popular Whiskey in your hotel room or just savor in the delectable local cuisines and hit the sack to relax your body and mind. The next morning you can pack your bags, pay your bills and say goodbye to the beautiful town with a promise to come back with more zeal. We will drive you to the Delhi airport. Kasauli is a popular cantonment hill station located in the beautiful Indian state of Himachal Pradesh. The city in the lap of Himalayas is well-known for its picturesque landscapes, a relaxing and peaceful environment and the outdoor adventures. The beautiful township is often called the hiker’s paradise. The small town shares a great proximity to the major cities like Shimla, Ambala Cant and Chandigarh. With a beautiful climate all year long, the town marks its name on the list of top holiday destinations in India. Kasauli is one of the Indian towns whose architecture was majorly focused by the British rulers in India. The city has a range of attractions like Sunset Point, Christ Church, Manki Point, Mall Road and so forth. Delhi is a lively city full of food, fashion and travel junkies. Delhi to Kasauli is a popular route. There are no direct flights or trains available in this route. One can avail the proximity of the city with the major destinations like Shimla, Ambala and Chandigarh and change the flight or train from either of the destinations to reach Kasauli fast and conveniently. A Kasauli trip from Delhi is a lifetime experience. Not just a great holiday package, you can also avail an affordable and exciting Kasauli honeymoon package contacting us and letting us add grace to your trip. We can manage every single aspect related to your Kasauli trip, right from arranging the best transport and take you to the hotel to making your city exploration an unforgettable experience. If you are a honeymooner, we can help you write your golden love story in Kasauli in the most majestic way. Bookings with the incorrect age of passenger/passengers may incur a penalty at a later stage. Tickets and vouchers will reach to customers two days prior to the date of departure/travel. Thank's a lot BookOtrip for making our firs trip together soon after marriage a memorable one. The trip was so special to both of us and it brings pretty much happiness to me whenever i think about those beautiful days.